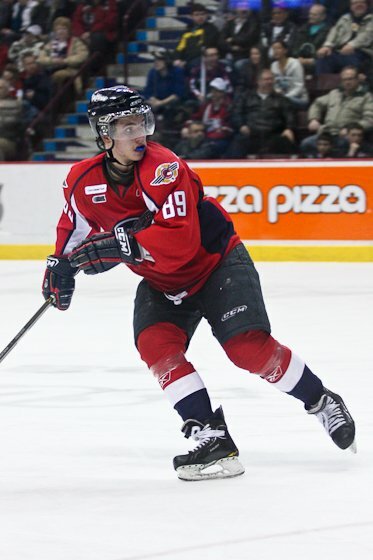 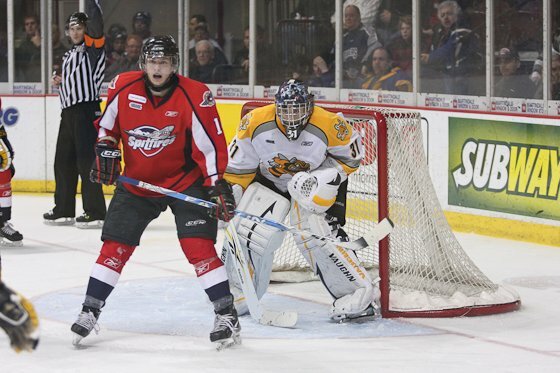 The Windsor Spitfires took home a 4-3 overtime victory over the Sarnia Sting. 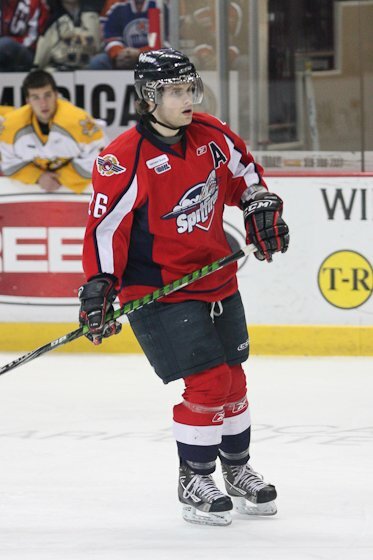 This win puts them within three points of the Saginaw Spirit (whom they will face Thursday night at the WFCU Center and again in Saginaw on Saturday night. 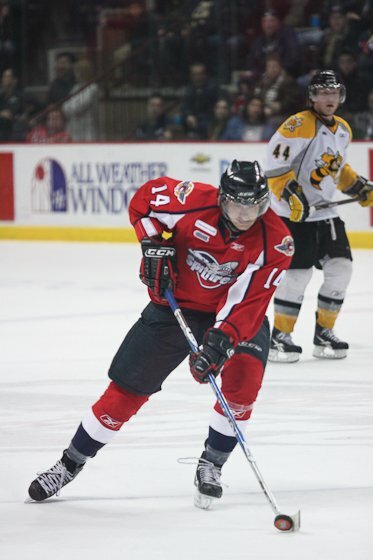 If they can catch Saginaw in the standings they will get a number 2 seed in the Western Conference, rather than their current 4th place seed. 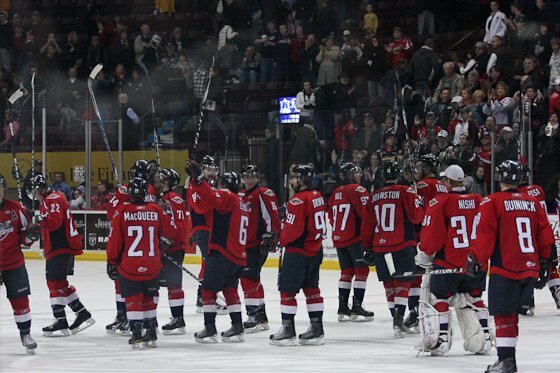 (In the OHL, the two division leaders are always seeded first and second). 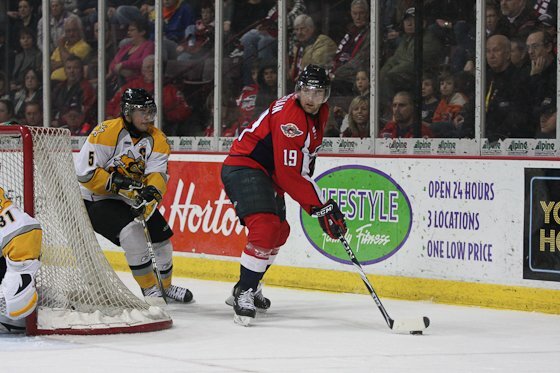 Windsor and Sarnia went back in forth in goals with goals scored by Windsor’s Kerby Rychel, Kenny Ryan, and Ryan Ellis in regulation time. 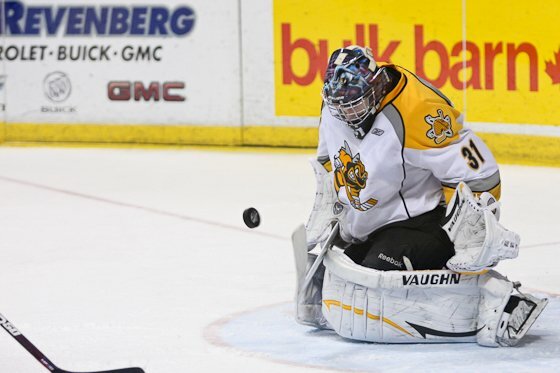 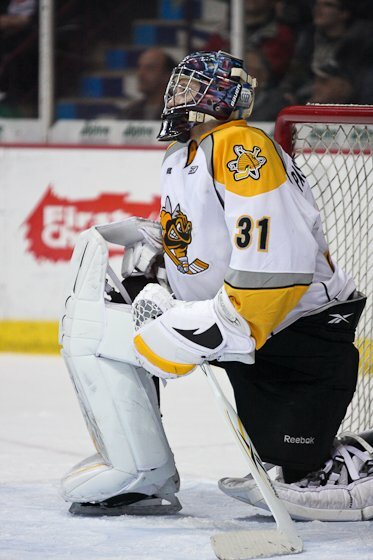 Sarnia’s Troy Passingham (who was traded by the Spits to Sarnia in return for Johnny Cullen) was outstanding in net and stopped 49/53 shots by Windsor. 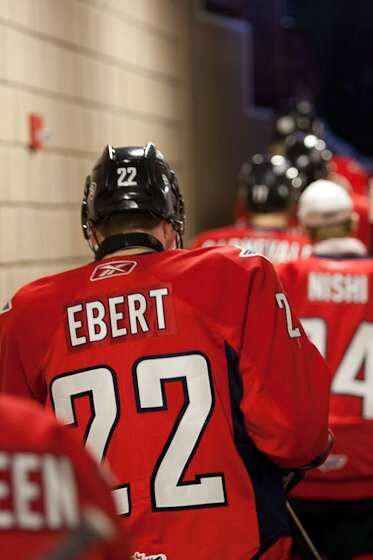 He was rewarded with the first star of the game. 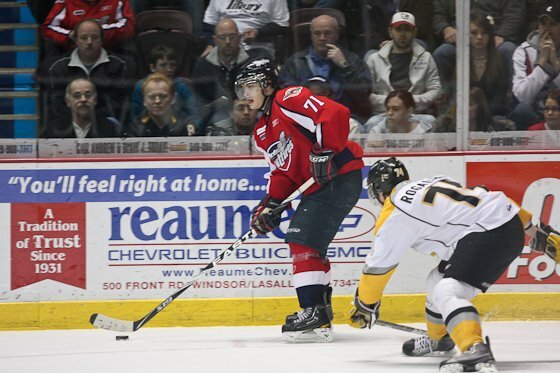 Once again Windsor’s Tom Kuhnhackl scored the game winning goal in overtime. 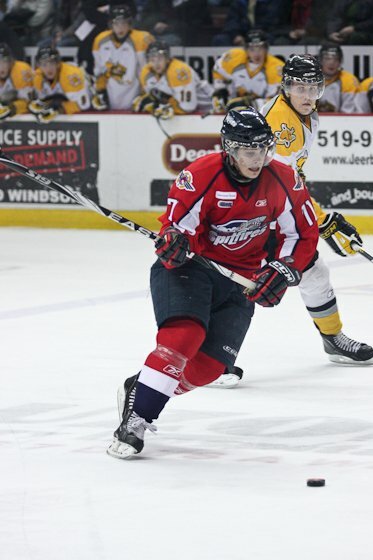 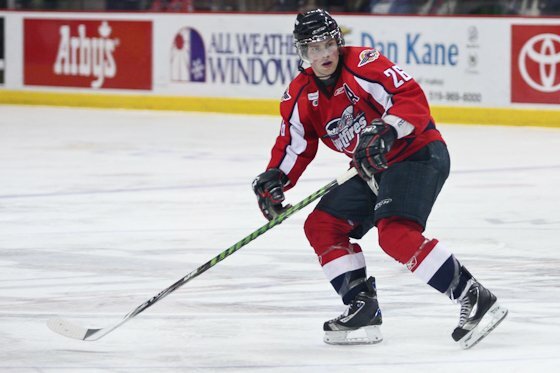 The Spitfires next take on the Saginaw Spirit at home on Thursday night.